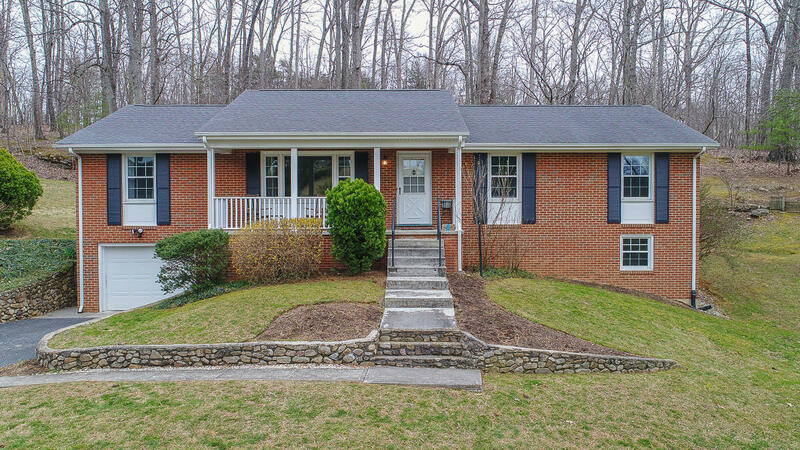 Gorgeous well maintained brick ranch with lovely mountain views on over 4 acres of land! A must see with updated baths, finished basement, new carpet on main level, all new replacement windows and much more! Featuring 3 bedrooms and 2 full bathrooms on main level. Also a huge finished basement with a wood stove/stone fireplace and tons of storage as well as a full bath. Go hiking through the wooded back yard trails or sit on the front porch and take in the beautiful views.